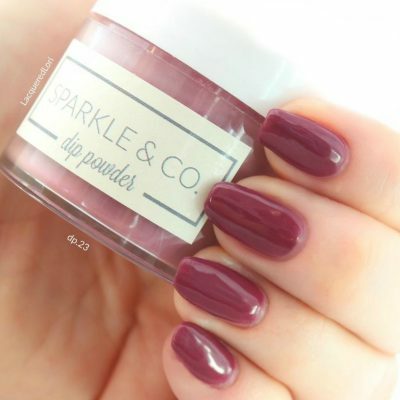 Sparkle & Co. Base Bond, Solidify & Glossy Coat - Sparkle and Co. I absolutely love this company and their products. The customer service and personal experience couldn’t be better. They are quick easy and efficient. 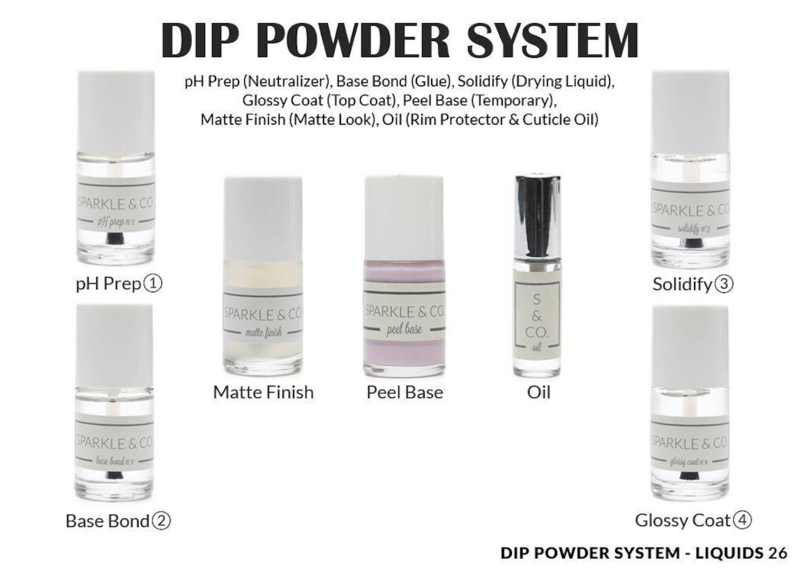 The ez dip powders are my favorite so far. I get so many compliments on my nails and people can’t believe I do them myself. I get the subscription boxes and they are so fun!!! I get excited each month when I receive mine, as does my little girl. Love these products! The larger tops make it so easy to do my nails! I love the packaging and the product itself!! Sparkle & Co liquids work beautifully for me! I love that I barely have to buff after solidify because it comes out so smoothly. Customer service rocks, too! Best dip powder liquids by far! I absolutely love how thin they are. With other liquids it was hard for me to control and get nice thin layers. Sparkle and Co liquids are perfect! I’m so happy I tried them, they are the best! And so shiny! I’ve tried so many liquids and Sparkle and Co is by far my favorite!!! It’s a game changer! They go on so smooth and barely require any buffing. The quality is amazing!! I must warn you that they are unlike any other liquids in the market and do require some time to get used to but once you get the hang of it, you won’t want to use anything else! So don’t give up on your 1st try, I promise you will love their liquids!!! These liquids are THE BEST!!! I have no lifting and the Solidify smells absolutely wonderful!!! Once I found Sparkle & Co I knew I needed to try their liquids. As much as I love the powders and the colors, the liquids are the star for me. The base bond is super thin and so easy to work with, leaving each layer smooth and never thick. I can do 4 dips and it feels like I have nothing on. These liquids are by far my favorite. Love Sparkle & Co. These are the best liquids I have ever used! I switched from a different company where I couldn’t even finish the bottle of my liquids! Half of them would go to waste and I found myself repurchasing liquid after liquid. I’ve had these for a couple of months now and have no issue, and even found that they are easier to apply and maintain! I definitely recommend these liquids for first time dip powder use or even if you’re switching from another company! I’ve tried a couple different brands of liquids and sparkle & Co is hands down my absolute favorite. The liquids are thin which makes application so much easier. They smell like cupcakes and require minimal to no maintenance to keep thin and non-contaminated. Since they are thin I also noticed my liquids last much longer than other brands I have used. I’ve been using my current bottles for 2 months and the lowest bottle is still 3/4ths full! Wow! Not only is this company amazing but so are their dip liquids! They’re super thin (which was a learning curve for me) but the results are outstanding. Thin layers, super shine, no cracks, peeling, or pop offs lasting over 2 weeks. They don’t get goopy, thank goodness, and last way longer than other brands. 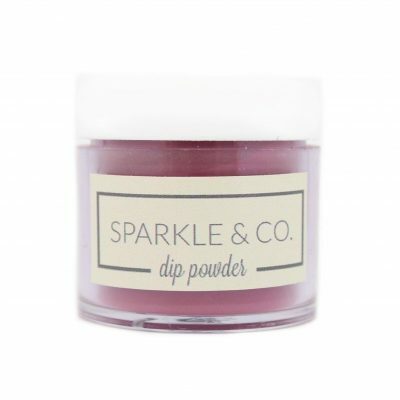 You definitely want to try these… promise you’ll be hooked on Sparkle & Co!!! I’ve tried a few different brands of liquids and found Sparkle & Co liquids to be the best. I love the thin color sistency of these liquids. It really helps to achieve smooth, thin layers. Bonus: the brush gets pretty darn close to the bottom of the bottle so you don’t waste product when your brush can’t reach the rest of it! I was hesitant to order liquids after having such awful experiences with other companies liquids. I could not be happier with these liquids!! TOTAL GAME CHANGER❤️My search is over, these are the best! These liquids are amazing. They are a bit thinner then other brands that I have used but you get the hang of it real quick. There’s little to no buffing. They are top notch. Highly recommend! I can’t recommend these liquids enough! They apply so well that you have to do minimal filing. My nails look natural instead of thick, even with 4 dips. I have had no lifting since switching to these and have had no problems with the liquids getting thick or gloopy. Love them so much! These liquids have changed my life! I was using another brand for a while and always has issues with lifting and popping off. And they would always get goopy and unusable! Since buying these from so many people recommending them I’m so glad I did and I’ll never use any other liquids again! They are perfect! I love sparkle liquids, I’ve tried a few brands and these are by far the best.